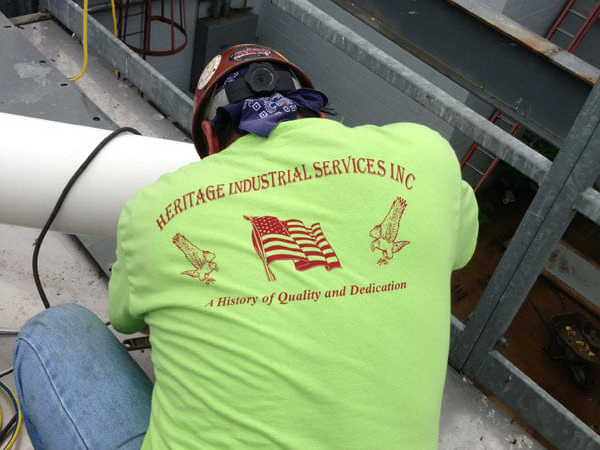 Heritage Industrial Services is committed to conducting its business operations in a manner that sustains the environment and protects the health and safety of its employees, client and the public. Heritage has set a goal of ZERO injuries, illnesses and incidents for the company. Consideration for employee safety and well-being is paramount. Compliance with all applicable laws, regulations, and standards. Identify conditions in the workplace that may present health and safety concerns to our employees. Mitigate potential exposures through assertive risk management and training. Communication of Heritage’s EHS policy to employees, partners, and associates. Every manager with overall responsibility for running a project or specific project task will actively apply this policy and assure development and implementation of effective practices and programs for safety. The company will provide managers with professional advice and counsel in meeting these obligations. All employees are expected to cooperate and contribute toward the overall success of the program by performing their jobs in the safest possible manner in compliance with this manual, client policies, and regulatory requirements and by conducting themselves in a way that enhances their personal safety and that of others. Heritage is a qualified contractor thru ISNetworld and Avetta with an “A” grading and an active member of the SC&RA. We employ NCCCO certified riggers and signalpersons that take great pride in their work efforts and the overall success of the commitment to safety. Employees are 10 Hour to 40 Hour OSHA trained and certified in the operation of equipment being utilized. Heritage strives for continuous improvement in promoting safe practices thru annual training and refresher courses to ensure a goal of ZERO injuries, illnesses and incidents.